"Britain" comes from Latin: Britannia~Brittania, via Old French Bretaigne and Middle English Breteyne, possibly influenced by Old English Bryten(lond), probably also from Latin Brittania, ultimately an adaptation of the Common Brittonic name for the island, *Pritanī. An early written reference to the British Isles may derive from the works of the Greek explorer Pytheas of Massalia; later Greek writers such as Diodorus of Sicily and Strabo who quote Pytheas' use of variants such as Πρεττανική (Prettanikē), "The Britannic [land, island]", and nēsoi brettaniai, "Britannic islands", with *Pretani being a Celtic word that might mean "the painted ones" or "the tattooed folk", referring to body decoration (see below). The modern Welsh name for the island is (Ynys) Prydain. This may demonstrate that the original Common Brittonic form had initial P- not B- (which would give **Brydain) and -t- not -tt- (else **Prythain). This may be explained as containing a stem *prit- (Welsh pryd, Old Irish cruith; < Proto-Celtic *kwrit-), meaning "shape, form", combined with an adjectival suffix. This leaves us with *Pritanī. Pliny referred to the main island as Britannia, with Britanniae describing the island group. Catullus also used the plural Britanniae in his Carmina. Avienus used insula Albionum in his Ora Maritima. Orosius used the plural Britanniae to refer to the islands and Britanni to refer to the people thereof. Diodorus referred to Great Britain as Prettanikē nēsos and its inhabitants as Prettanoi. Ptolemy, in his Almagest, used Brettania and Brettanikai nēsoi to refer to the island group and the terms megale Brettania (Great Britain) and mikra Brettania (little Britain) for the islands of Great Britain and Ireland, respectively. However, in his Geography, he referred to both Alwion (Great Britain) and Iwernia (Ireland) as a nēsos Bretanikē, or British island. Marcian of Heraclea, in his Periplus maris exteri, described the island group as αί Πρεττανικαί νήσοι (the Prettanic Isles). Stephanus of Byzantium used the term Ἀλβίων (Albion) to refer to the island, and Ἀλβιώνιοι (Albionioi) to refer to its people. Pseudo-Aristotle used nēsoi Brettanikai, Albion and Ierne to refer to the island group, Great Britain, and Ireland, respectively. Procopius, in the 6th century AD, used the terms Brittia and Brettania though he considered them to be different islands, the former being located between the latter and Thule. Moreover, according to him on Brittia lived three different nations, the homonymous Brittones (Britons), the Angiloi (English) and the Phrissones (Frisians). As seen above, the original spelling of the term is disputed. Ancient manuscripts alternated between the use of the P- and the B-, and many linguists believe Pytheas's original manuscript used P- (Prettania) rather than B-. Although B- is more common in these manuscripts, many modern authors quote the Greek or Latin with a P- and attribute the B- to changes by the Romans in the time of Julius Caesar; the relevant, attested sometimes later, change of the spelling of the word(s) in Greek, as is also sometimes done in modern Greek, from being written with a double tau to being written with a double nu, is likewise also explained by Roman influence, from the aforementioned change in the spelling in Latin. For example, linguist Karl Schmidt states that the "name of the island was originally transmitted as Πρεττανία (with Π instead of Β) ... as is confirmed by its etymology". It is quite probable that the description of Britain given by the Greek writer Diodorus Siculus in the first century BC derives wholly or largely from Pytheas. What is of particular interest is that he calls the island "Pretannia" (Greek "Prettanikē"), that is "the island of the Pretani, or Priteni". "Pretani" is a Celtic word that probably means "the painted ones" or "the tattooed folk", referring to body decoration - a reminder of Caesar's observations of woad-painted barbarians. In all probability the word "Pretani" is an ethnonym (the name by which the people knew themselves), but it remains an outside possibility that it was their continental neighbours who described them thus to the Greek explorers. Following Julius Caesar's expeditions to the island in 55 and 54 BC, Brit(t)an(n)ia was predominantly used to refer simply to the island of Great Britain. After the Roman conquest under the Emperor Claudius in AD 43, it came to be used to refer to the Roman province of Britain (later two provinces), which at one stage consist of part of the island of Great Britain south of Hadrian's wall. In Old English or Anglo-Saxon, the Graeco-Latin term referring to Britain entered in the form of Bryttania, as attested by Alfred the Great's translation of Orosius' Seven Books of History Against the Pagans. The Latin name Britannia re-entered the language through the Old French Bretaigne. The use of Britons for the inhabitants of Great Britain is derived from the Old French bretun, the term for the people and language of Brittany, itself derived from Latin and Greek, e.g. the Βρίττωνες of Procopius. It was introduced into Middle English as brutons in the late 13th century. There is much conflation of the terms United Kingdom, Great Britain, Britain, and England. In many ways accepted usage allows some of these to overlap, but some common usages are incorrect. The term Britain is widely used as a common name for the sovereign state of the United Kingdom, or UK for short. The United Kingdom includes three countries on the largest island, which can be called the island of Britain or Great Britain: these are England, Scotland and Wales. However the United Kingdom also includes Northern Ireland on the neighbouring island of Ireland, the remainder of which is not part of the United Kingdom. England is not synonymous with Britain, Great Britain, or United Kingdom. The classical writer, Ptolemy, referred to the larger island as great Britain (megale Bretannia) and to Ireland as little Britain (mikra Brettania) in his work, Almagest (147–148 AD). In his later work, Geography (c. 150 AD), he gave these islands the names Ἀλουίωνος (Alwiōnos), Ἰουερνίας (Iwernias), and Mona (the Isle of Man), suggesting these may have been native names of the individual islands not known to him at the time of writing Almagest. The name Albion appears to have fallen out of use sometime after the Roman conquest of Great Britain, after which Britain became the more commonplace name for the island called Great Britain. 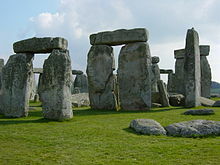 After the Anglo-Saxon period, Britain was used as a historical term only. Geoffrey of Monmouth in his pseudohistorical Historia Regum Britanniae (c. 1136) refers to the island of Great Britain as Britannia major ("Greater Britain"), to distinguish it from Britannia minor ("Lesser Britain"), the continental region which approximates to modern Brittany, which had been settled in the fifth and sixth centuries by Celtic migrants from the British Isles. The term Great Britain was first used officially in 1474, in the instrument drawing up the proposal for a marriage between Cecily the daughter of Edward IV of England, and James the son of James III of Scotland, which described it as "this Nobill Isle, callit Gret Britanee". As noted above it was used again in 1604, when King James VI and I styled himself "King of Great Brittaine, France and Ireland". The term Great Britain later served to distinguish the large island of Britain from the French region of Brittany (in French Grande-Bretagne and Bretagne respectively). With the Acts of Union 1707 it became the official name of the new state created by the union of the Kingdom of England (which then included Wales) with the Kingdom of Scotland, forming the Kingdom of Great Britain. In 1801, the name of the country was changed to United Kingdom of Great Britain and Ireland, recognising that Ireland had ceased to be a distinct kingdom and was incorporated into the union. After Irish independence in the early 20th century, the name was changed to United Kingdom of Great Britain and Northern Ireland, which is still the official name. In contemporary usage therefore, Great Britain, while synonymous with the island of Britain, and capable of being used to refer politically to England, Scotland and Wales in combination, is sometimes used as a loose synonym for the United Kingdom as a whole. For example, the term Team GB and Great Britain were used to refer to the United Kingdom's Olympic team in 2012 and this usage created controversy as some interpreted it as excluding Northern Ireland. The demonym for a citizen of the United Kingdom is British. ^ "Britain". Online Etymology Dictionary. ^ Cunliffe, Barry (2012). Britain Begins. Oxford, UK: Oxford University Press. p. 4. ^ Chadwick 1949, pp. 66–80. ^ Maier 1997, p. 230. ^ Dunbavin 1998, p. 3. ^ Oman, Charles (1910), "England Before the Norman Conquest", in Oman, Charles; Chadwick, William (eds. ), A History of England, vol. I, New York; London: GP Putnam's Sons; Methuen & Co, pp. 15–16, The corresponding form used by the Brythonic 'P Celts' would be Priten ... Since therefore he visited the Pretanic and not the Kuertanic Isle, he must have heard its name, when he visited its southern shores, from Brythonic and not from Goidelic inhabitants. ^ a b Snyder, Christopher A. (2003). The Britons. Blackwell Publishing. ISBN 0-631-22260-X. ^ Pliny the Elder's Naturalis Historia Book IV. Chapter XLI Latin text and English translation at the Perseus Project. ^ Gaius Valerius Catullus' Carmina Poem 29, verse 20, Latin text and English translation at the Perseus Project. See also Latin text and its English translation side by side at Wikisource. ^ Gaius Valerius Catullus' Carmina Poem 45, verse 22, Latin text and English translation at the Perseus Project. See also Latin text and its English translation side by side at Wikisource. ^ Orosius, Paulus (1857). "Book VII, chapter XL". In Havercampus, Sigebertus (ed.). Historiarum Adversum Paganos Libri Septem. Thorunium: Ernestus Lambeccius. pp. 319–320. Available online at the Internet Archive. ^ Claudius Ptolemy (1898). "Ἕκθεσις τῶν κατὰ παράλληλον ἰδιωμάτων: κβ', κε'". In Heiberg, J.L. (ed.). Claudii Ptolemaei Opera quae exstant omnia (PDF). vol.1 Syntaxis Mathematica. Leipzig: in aedibus B.G.Teubneri. pp. 112–113. ^ Claudius Ptolemy (1843). "index of book II". In Nobbe, Carolus Fridericus Augustus (ed.). Claudii Ptolemaei Geographia (PDF). vol.1. Leipzig: sumptibus et typis Caroli Tauchnitii. p. 59. ^ Ethnika 69.16, i.e. Stephanus Byzantinus' Ethnika (kat'epitomen), lemma Ἀλβίων Meineke, Augustus, ed. (1849). Stephani Byzantii Ethnicorvm quae svpersvnt. 1. Berlin: Impensis G. Reimeri. p. 69. ^ Greek "... ἐν τούτῳ γε μὴν νῆσοι μέγιστοι τυγχάνουσιν οὖσαι δύο, Βρεττανικαὶ λεγόμεναι, Ἀλβίων καὶ Ἰέρνη, ...", transliteration "... en toutoi ge men nesoi megistoi tynchanousin ousai dyo, Brettanikai legomenai, Albion kai Ierne, ...", translation "... There are two very large islands in it, called the British Isles, Albion and Ierne; ..."; Aristotle. "On the Cosmos". On Sophistical Refutations. On Coming-to-be and Passing Away. On the Cosmos. D. J. Furley (trans.). William Heinemann LTD, Harvard University Press. 393b pp. 360–361 – via Internet Archive. ^ a b Procopius (1833). "De Bello Gotthico, IV, 20". In Dindorfius, Guilielmus; Niebuhrius, B.G. (eds.). Corpus Scriptorum Historiae Byzantinae. Pars II Volumen II (Impensis Ed. Weberis ed.). Bonnae. pp. 559–580. ^ Smith, William, ed. (1854). "BRITANNICAE INSULAE or BRITANNIA". Dictionary of Greek and Roman Geography, illustrated by numerous engravings on wood. London: Walton and Maberly; John Murray. pp. 559–560. Available online at the Perseus Project. ^ Rhys, John (July – October 1891). "Certain National Names of the Aborigines of the British Isles: Sixth Rhind Lecture". The Scottish Review. XVIII: 120–143. ^ lemma Βρετανία; Babiniotis, Georgios. Dictionary of Modern Greek. Athens: Lexicology Centre. ^ Cunliffe, Barry (2012). Britain Begins. Oxford, UK: Oxford University Press. p. 4. ISBN 978-0-19-967945-4. ^ Sedgefield, Walter John (1928). An Anglo-Saxon Verse-Book. Manchester University Press. p. 292. ^ Claudius Ptolemy (1898). "Ἕκθεσις τῶν κατὰ παράλληλον ἰδιωμάτων: κβ',κε'". In Heiberg, J.L. (ed.). Claudii Ptolemaei Opera quae exstant omnia (PDF). vol.1 Syntaxis Mathematica. Leipzig: in aedibus B. G. Teubneri. pp. 112–113. ^ Claudius Ptolemy (1843). "Book II, Prooemium and chapter β', paragraph 12". In Nobbe, Carolus Fridericus Augustus (ed.). Claudii Ptolemaei Geographia (PDF). vol.1. Leipzig: sumptibus et typis Caroli Tauchnitii. pp. 59, 67. ^ Freeman, Philip (2001). Ireland and the classical world. Austin, Texas: University of Texas Press. pp. 67–68. ISBN 0-292-72518-3. ^ "Is Great Britain really a 'small island'?". BBC News. ^ Phillips, Melanie (8 August 2012). "So far as the Olympic Games are concerned, the UK seems to have been abolished". Mail Online. Retrieved 5 May 2013. Fife, James (1993). "Introduction". In Ball, Martin J; Fife, James (eds.). The Celtic Languages. Routledge Language Family Descriptions. Routledge. pp. 3–25. Look up Britain in Wiktionary, the free dictionary. This page was last edited on 20 February 2019, at 22:17 (UTC).